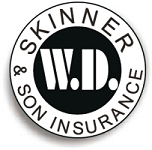 We can provide you with protection against catastrophic liability claims. An umbrella policy acts as an excess coverage over your primary liability policies because its limits apply in addition to the limits provided by underlying coverage. To provide coverage for some risks, subject to retention, when your primary coverage does not.